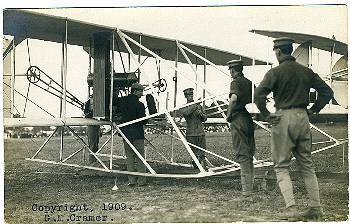 CM Cramer, 1909 (typewritten on front, bottom). 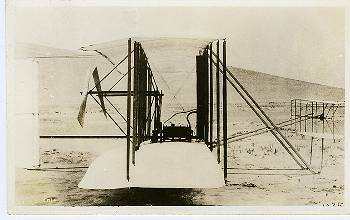 JACK132-Ditto above; Back states flight was July 30, 1909. 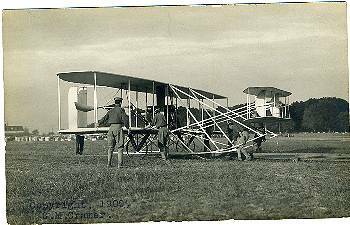 Orville and Foulois right before flight to Alexandria. 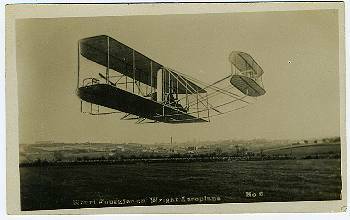 JACK133-Wright plane. Printed. 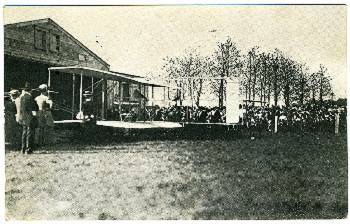 Back states, "Taking machine out of aerodrome at Wright Brothers Training Ground, Dayton, Ohio." 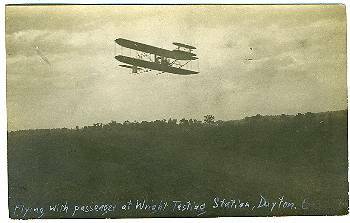 CANCEL: Dayton, Ohio, Sept., 1910. CANCEL: double cancel, 1909, French. 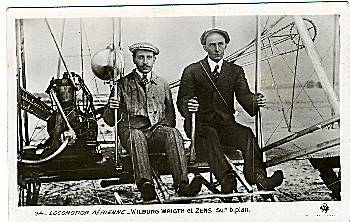 JACK136-Wilbur Wright and Zens in an airplane. 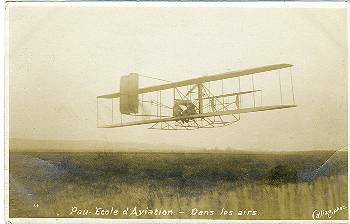 French, early real photo. French hand-writing on back, not sent through mail. JACK137-A great multi-view of Dayton. Ohio. 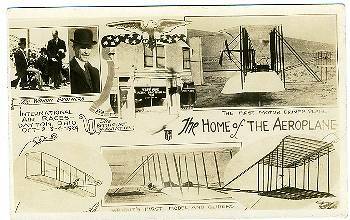 Ad for 1924 air races. Real Photo with AZO stamp box, probably 1924-1949. JACK139-"Flying with passenger at Wright Test Station. 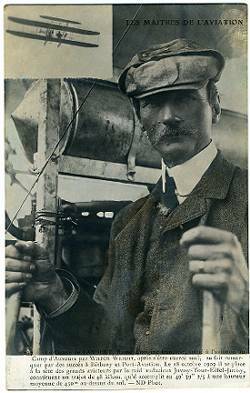 Dayton"
JACK140-A great Close-up of Wilbur Wright. Camp d'Auvours. French. 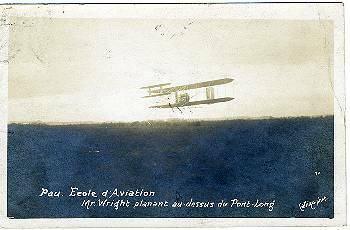 JACK141-Henri Fourier in a Wright plane. 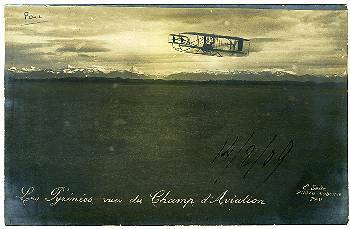 CANCEL: obscured but probably 1909. 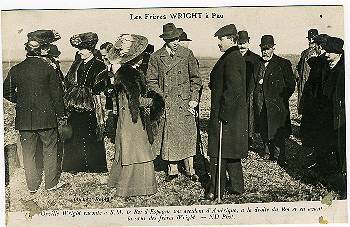 JACK144-A super close-up Orville Wright, his sister and the King of Spain at Pau. 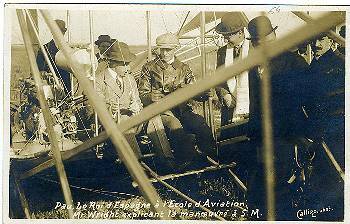 French issue. Name written on back. 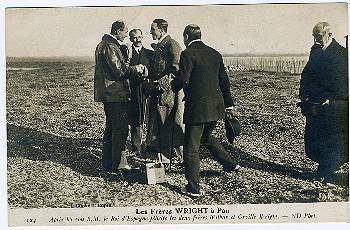 JACK145-Both of the Wright Bros. at Pau. and the King of Spain. A very clear photo from ND, 1909.